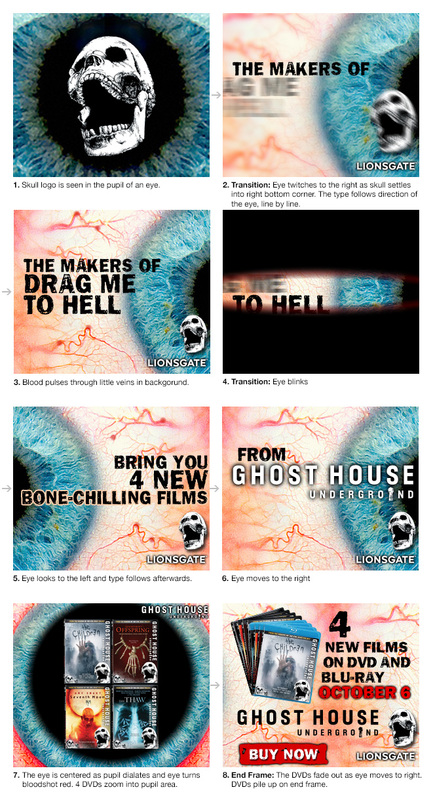 This ad banner campaign advertised movie sales of horror movies by Ghosthouse Films, a subsidiary of Lionsgate. These are two storyboards I designed. The first one was chosen.